I came back to NY. I have many things to do in NY. There is nothing more valuable than good health. 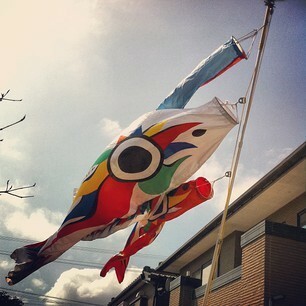 Carp streamers waving at my house in the spring wind. This is our favorite carp streamers, an unusual color and design. In Japan there is a custom in spring to put up carp streamers in order to wish for children’s growth. The cherry blossoms are blooming in Tokyo…but Niigata is not it yet. 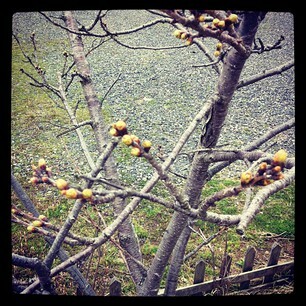 But I found cherry flower buds at my parents’ house in Niigata!